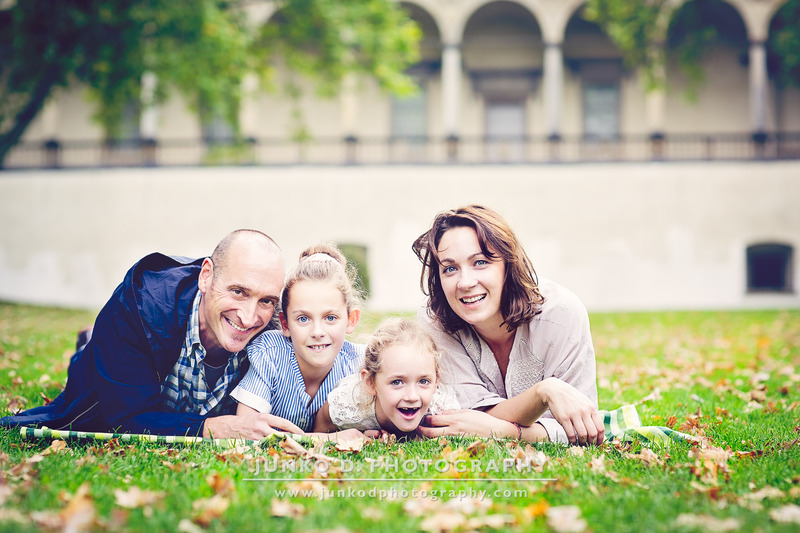 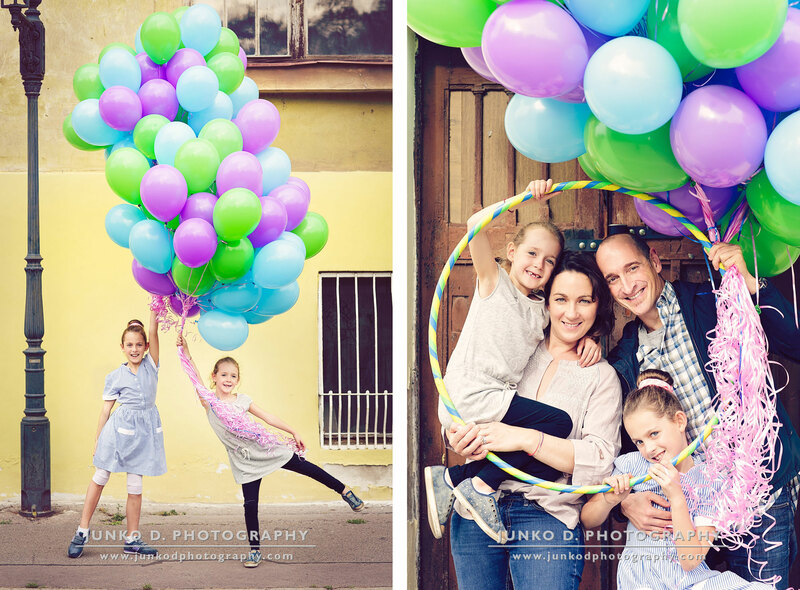 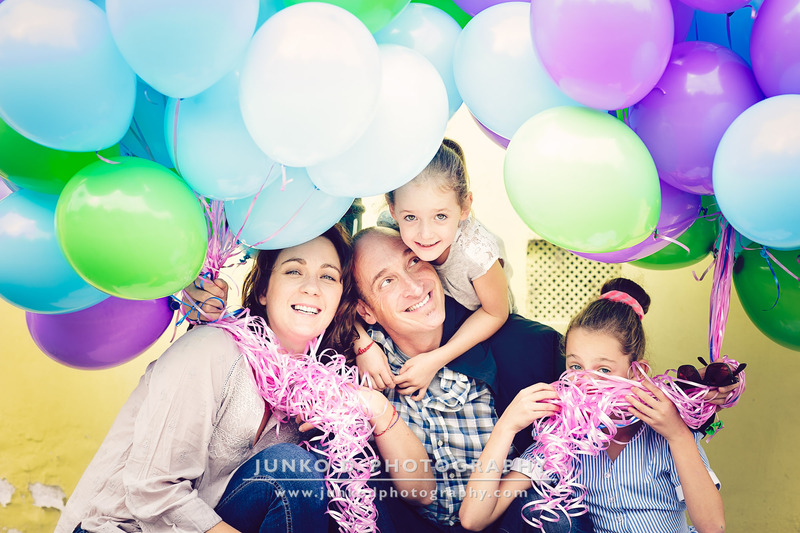 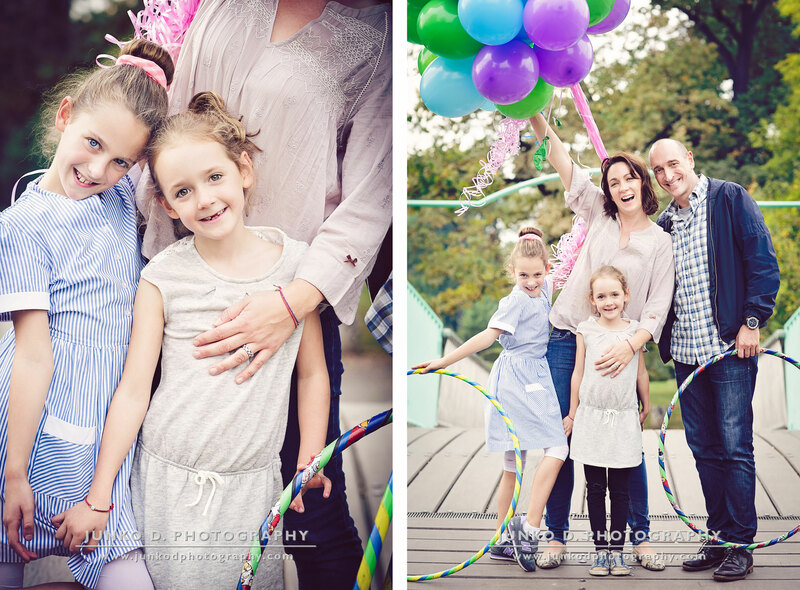 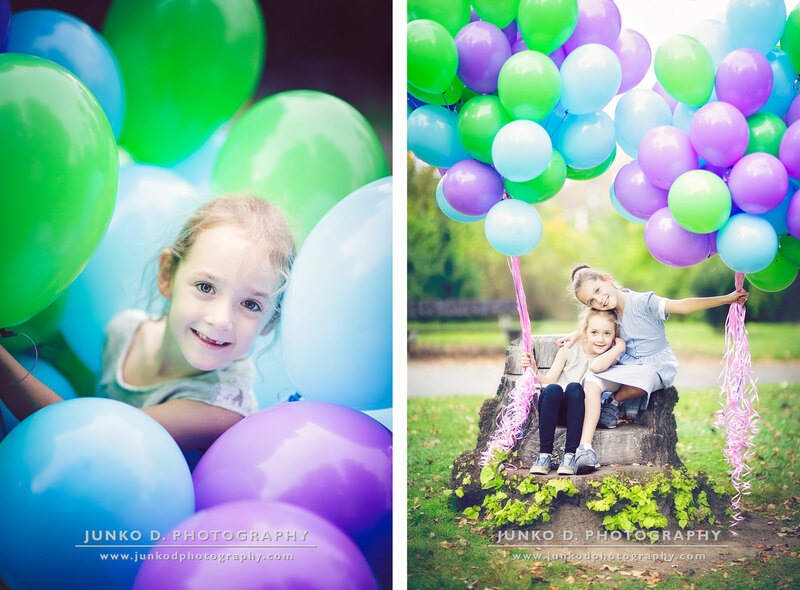 A happy family session it was indeed with these hundred balloons as the main prop of this Prague photo shoot! 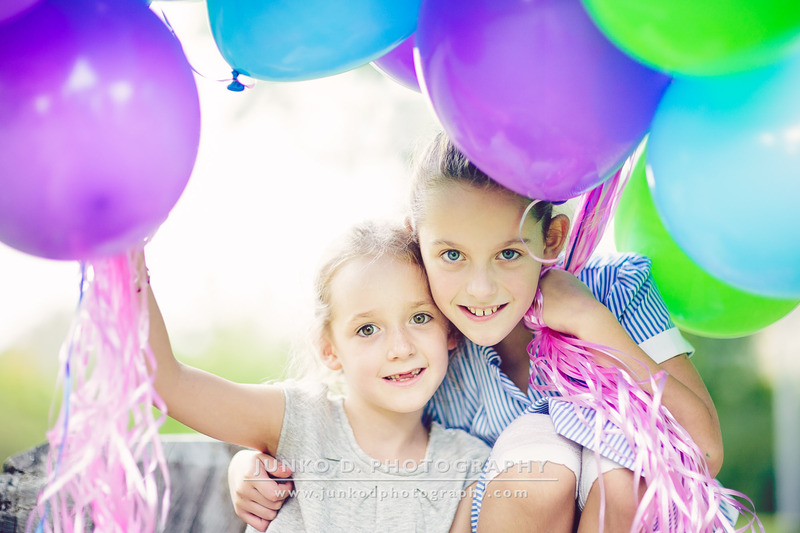 Since her two daughters like balloons so much, B. had the great idea of using them during the session and release them at the very end of it for a picture she wanted to be on her holiday card. 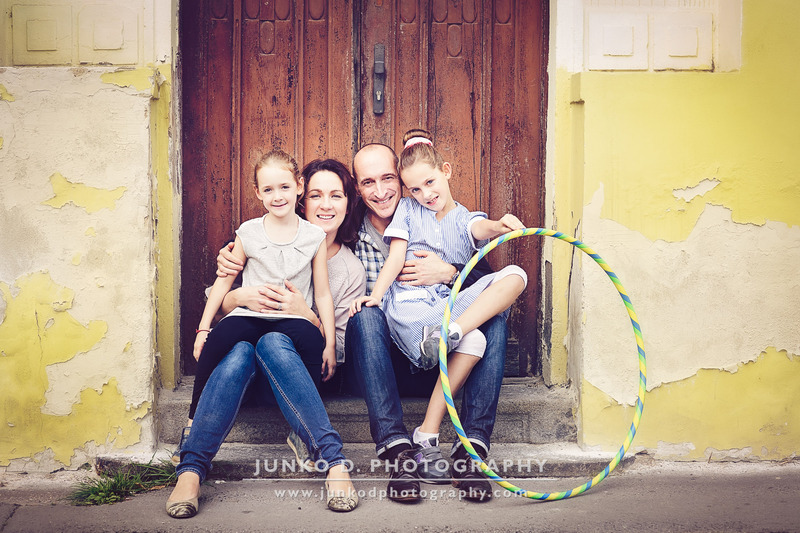 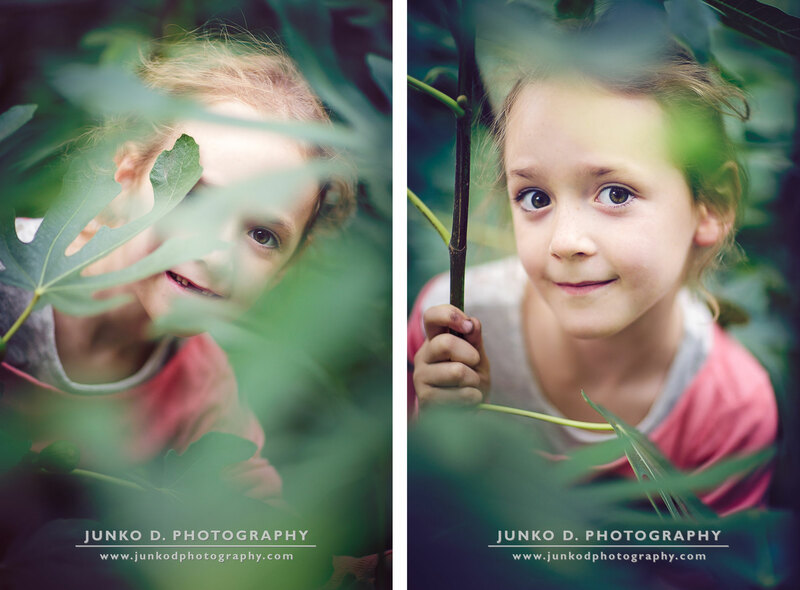 I remember this session as a happy whirlwind of hula hoops, cartwheels, and arabesques that S. and F. masterfully executed all the way through these two hours spent in one of the most beautiful parts of Prague. 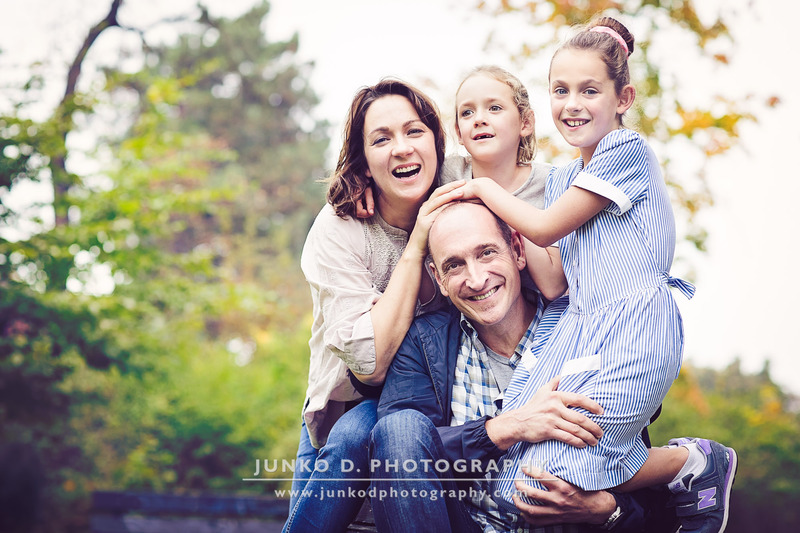 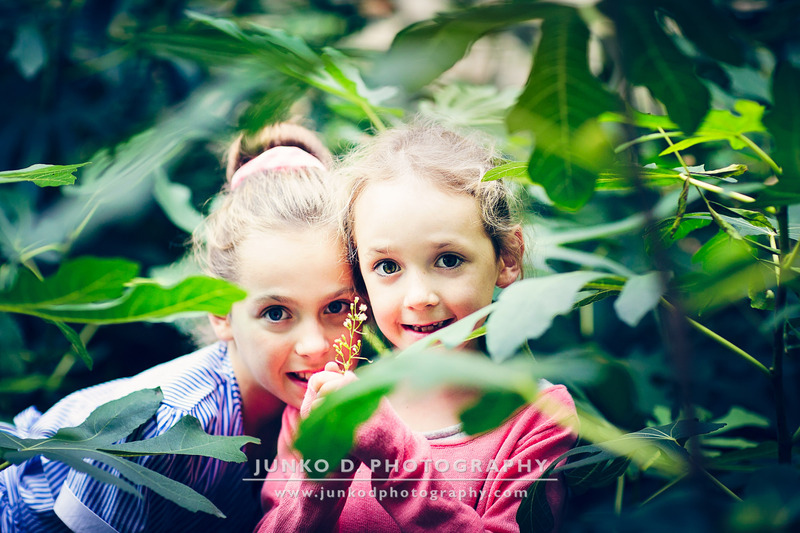 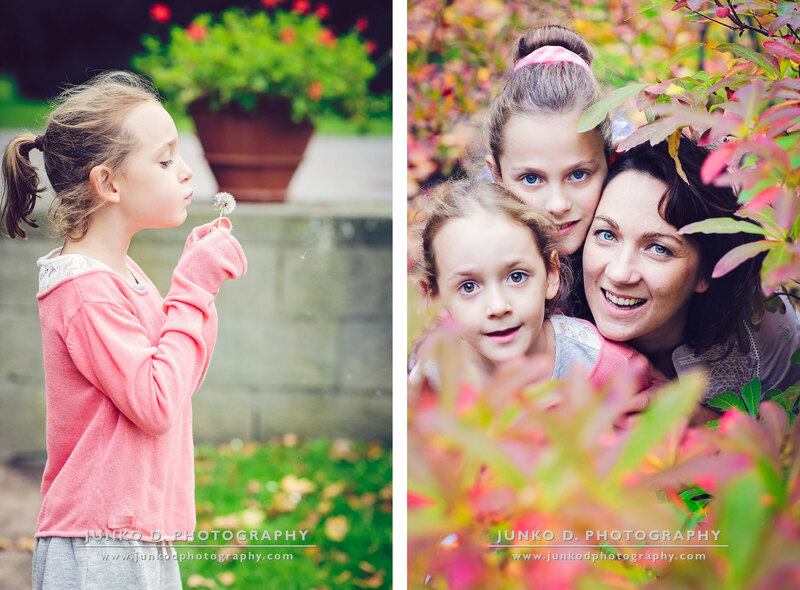 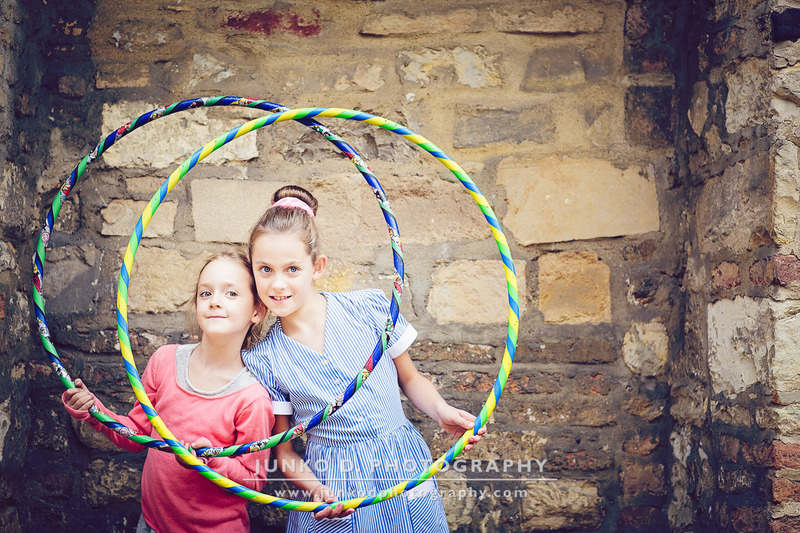 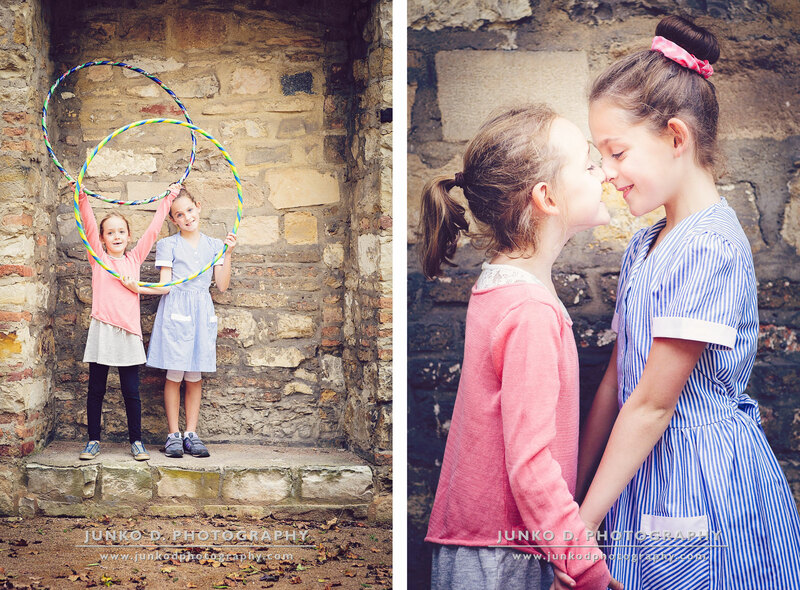 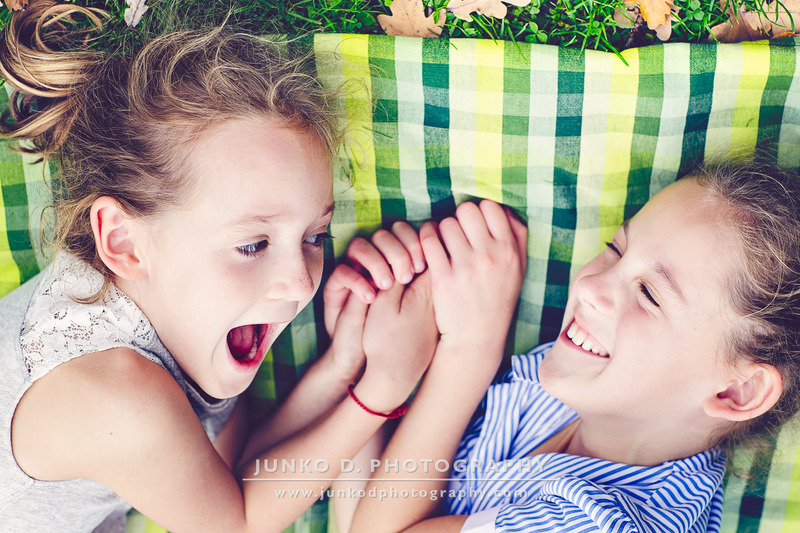 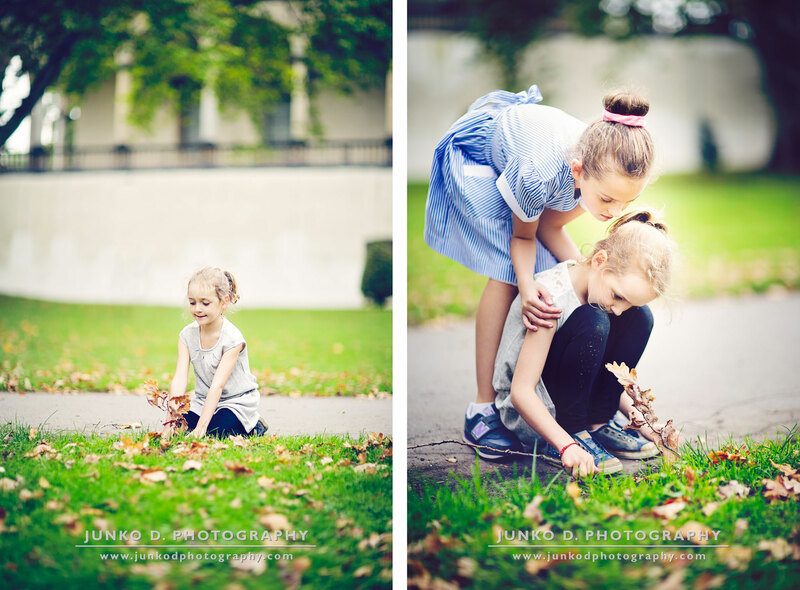 This very nice family was a delight to photograph and I was particularly happy to capture very sweet and quiet moments of sibling tenderness which reminded me of my own childhood and of the very special relationship I have with my sister. 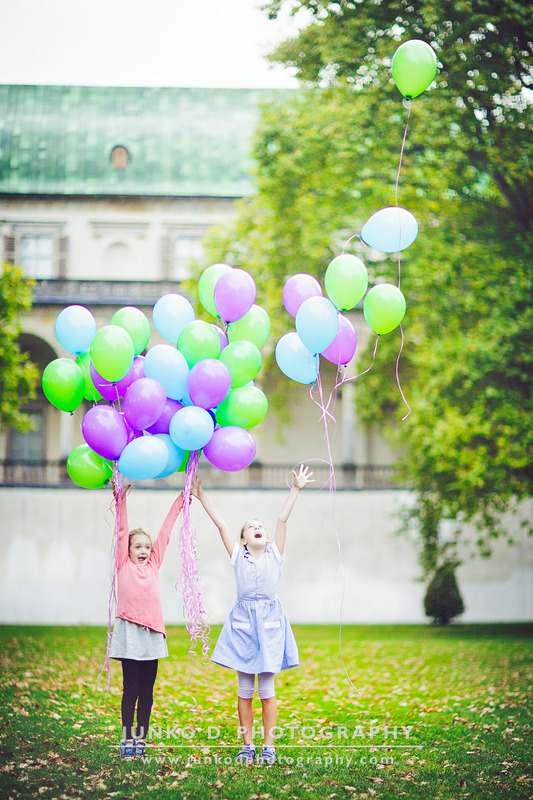 It ended in a very poetical way when the hundred balloons took flight on the majestic backdrop of Queen Ann of Habsburg’s summer palace, to the sheer joy of two very happy little girls.